I have two friends getting married this June. A bachelorette party is coming up for one of the brides, and I’m very excited to celebrate with her. Throughout the planning process she has faced a lot of obstacles and luke-warm people, so I wanted to get her pumped for her party. 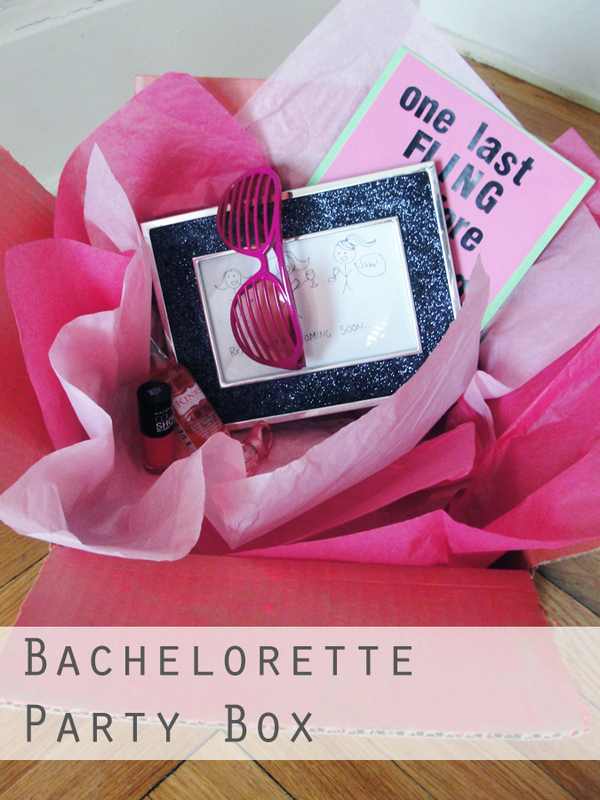 To get her excited, I mailed a pre-bachelorette party box. To fill the package, I gathered up all the essentials: a little bottle of alcohol, pink nail polish, silly sunglasses, a light-up ring, and my home-glittered picture frame. Inside the frame I added a funny little drawing of all us party girls. I also enclosed a card with “One last fling before the ring.” I even painted the inside of the box pink. So fun! 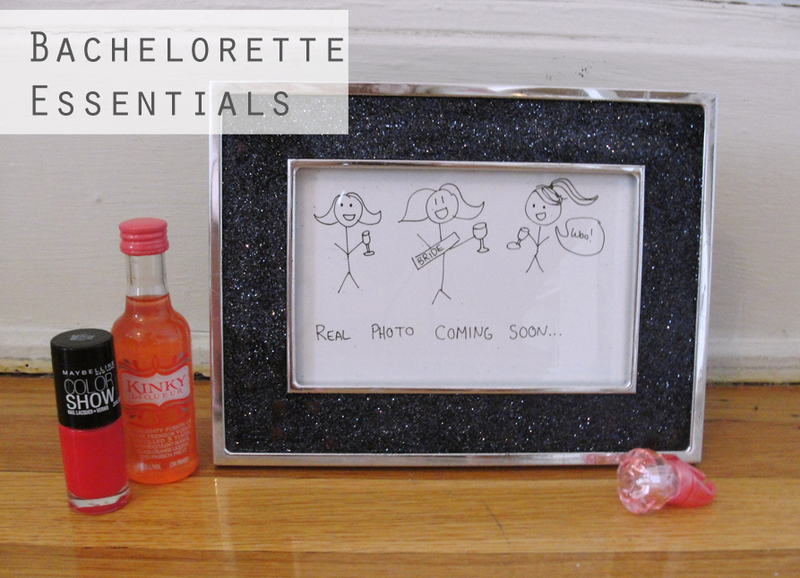 This is a great pre-bachelorette package to cheer up a bride. Now I can’t wait for the party! Love the idea of painting the inside of the box! What an unexpected pop of fun, like a great purse with an even more fabulous lining (which is always my favorite part of a bag). I know exactly what you mean! 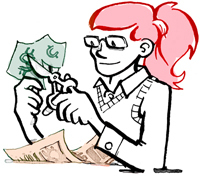 I just wanted it to be as cheerful and girly as possible.